Hollande told AFP that the Modi government put forward Anil Ambani’s Reliance as part of a ‘new formula’ for the Rafale deal. On Saturday evening, after the Indian government finally put together a confusing response to former French President Francois Hollande’s comments that it was India that had proposed Anil Ambani’s Reliance group as a partner on the Rafale deal, Hollande appeared to walk back his remarks. Several Indian news organisations cited an AFP report saying Hollande had told the agency that he was “unaware” of Indian pressure. Supporters of the government took this as a sign that Hollande had denied his explosive remarks and that the Narendra Modi government was in the clear. But is that really what he said? To briefly recap, Prime Minister Narendra Modi in 2015 scrapped an earlier deal to buy and partly build 126 Rafale aircraft with Dassault, the French manufacturer, and instead signed a new agreement to import 36 of the fighter jets. The new agreement came with a mandate for Dassault to invest half of its cost in India through domestic companies. 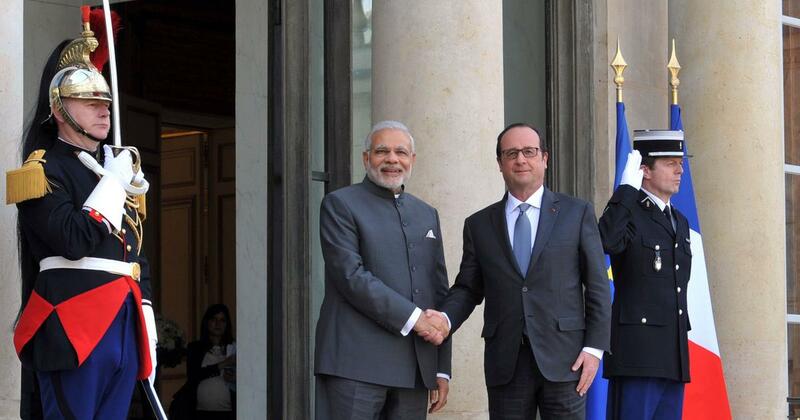 The French manufacturer announced that Anil Ambani’s Reliance Defence would be its “key partner” for this. The Opposition, led by the Congress has accused Modi of signing a deal to benefit his “industrialist friend” while the government claims Dassault was free to pick its partner. On Friday, in comments to French website MediaPart, Hollande said that it was the Indian government that proposed Anil Ambani’s Reliance group as a partner for Dassault. “We did not have a say in this.” That contradicted the Indian government insistence that it had nothing to do with Dassault partnering with Reliance. “Asked by Agence-France Press on the sidelines of a conference in Montreal on Friday, Hollande said that the name of Reliance Group had appeared as part of a ‘new formula’ in negotiations over the Rafale deal, decided by the Modi government after it came to power. In sum, Hollande is reiterating what he told MediaPart: That the Modi government proposed Anil Ambani’s name as a partner for Dassault in the Rafale deal, and that his own government had nothing to do with it. He has said that Ambani’s Reliance group was part of a “new formula” put forward by Modi for the Rafale deal. That alone would seem to contradict the Indian government’s position that it had nothing to do with Dassault’s decision to go with Reliance. Hollande is not saying that India forced Reliance on Dassault, but that Reliance was part of an official government proposal, a “new formula”. Crucially, the Indian government has yet to deny this. It has insisted that it has no role in Dassault’s choice of a commercial partner. But it has not said whether it put forward Anil Ambani’s Reliance group as a proposed partner. Curiously, AFP only translated the second part of Hollande’s comments for its English version, writing; “When asked whether India had put pressure on Reliance and Dassault to work together, Hollande said he was unaware and “only Dassault can comment on this.” Since the Indian media picked up on the English version, most organisations presumed Hollande’s “unaware” comment was him taking a step back from the explosive remarks he had made earlier. Some even called it a “clear denial”, which, the AFP article makes apparent is an entirely wrong interpretation of what Hollande said. In all likelihood, this is not the last we have heard from Hollande on the matter. He may not want to get involved in the controversy, seeing as a huge deal for a French company is on the line, but the matter involves allegations of conflict of interest with his partner Julie Gayet. 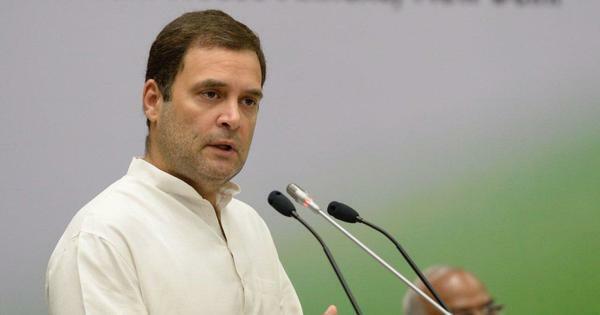 And on Sunday, Indian Finance Minister Arun Jaitley said he wouldn’t be surprised if the whole issue, including Hollande’s remarks, had been “orchestrated” by Rahul Gandhi and the Congress. This all but guarantees more questions being put to Hollande in France. This story is not going away.